When planning a taper off psychiatric drugs or when taking measures to try to ensure consistency of dose, there are some important factors to keep in mind. In the United States, the FDA allows for a certain amount of variability in the amount of active drug ingredient across brand-name and generic versions of the same drug, as well as across different generic versions. This is called “bioequivalence criteria”. FDA studies of drug plasma concentrations have shown that different versions of brand-name and generic drugs can tend to vary on average about 3.5% up or down from the mean, and some can vary 10% or more from the mean. While such variations may not be a major concern to many pharmaceutical drug users, such uncontrolled jumps up or down in drug amounts may be a significant concern for people who are trying to taper carefully off psychiatric drugs. Make sure the pharmacy is professional and reliable. Unfortunately, not all pharmacies carefully vet the distributors from which they purchase drugs, and the drug manufacturing and distribution industry is being increasingly de-regulated. It is often not easy to determine whether your local pharmacy is professional and reliable. Searching the database of the National Association of Boards of Pharmacy (NABP) to find a state’s Board may be a useful step. Stay with the same version of a medication. Some people believe, based on their experiences during withdrawal, that the amount of active drug in a brand-name version of a medication is generally more consistent across “batches” than when the medication comes from multiple generic manufacturers. We are currently not aware of any solid evidence to support or refute this belief. If deciding to go this route, though, it is often necessary for the prescriber to note “brand name only” on the prescription to the pharmacy. Ask the pharmacy to stick with the same generic manufacturer. Some people who opt to stay on a generic version will ask their pharmacy if it’s possible to be kept consistently on a drug from the same generic manufacturer. While pharmacies are not obligated to meet this request, they may be open to doing so. Double-check that prescriptions have been filled in accordance with any specific requests. Whenever picking up a refill, double-check right there at the pharmacy counter that it is the proper, requested version of the drug. After leaving the pharmacy, there’s a chance that any changes will not be covered by insurance, and it’s not infrequent to hear reports from individuals in the lay withdrawal community about incorrectly filled prescriptions. Davit, BM, Nwakama, PE, Buehler, GJ, et al. "Comparing generic and innovator drugs: a review of 12 years of bioequivalence data from the United States Food and Drug Administration." Annals of Pharmacotherapy, 2009 Oct;43(10):1583-97. Webster, Molly. (2009, November 12). "Fact or Fiction: Generic Drugs Are Bad For You." Scientific American. Retrieved from: https://www.scientificamerican.com/article/are-generic-drugs-bad-for-you/. 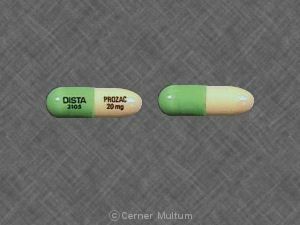 Images of fluoxetine and Prozac pills courtesy of Cerner Multum.